For the first of the five ODI matches against New Zealand, Virat Kohli decided to have both his all-rounders and wrist-spinners in the side. That is an excellent decision as this not only gives a better balance to the side, creating more bowling options for the captain but also helps develop a balanced side for the upcoming world cup. In recent times, Kohli has decided to keep only one of the two wrist-spinners in the side, along with Ravindra Jadeja. More often than not, it has been Yuzvendra Chahal who has found himself warming the bench. But he showed in the last ODI against Australia through his incredible six-wicket haul that what India has been missing out all this while by benching him. Jadeja may be a better fielder and better batsman, but Chahal is by far a better bowler in the limited overs format. 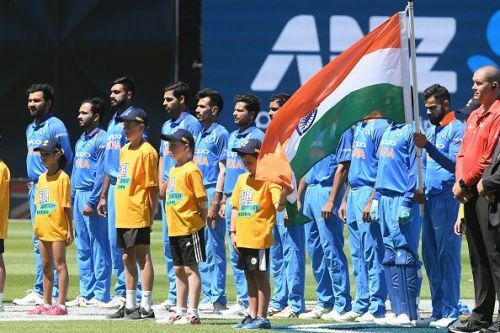 A strong batting unit such as India should focus on having their best bowlers in the side rather than compromising on the bowling quality by picking a lesser bowler for his batting credentials. By selecting Chahal along with Kuldeep Yadav, he now has two world-class spinners who are wicket-taking options and match-winners. Similarly, his selection of both Kedar Jadhav and Vijay Shankar lends further balance to the side. Jadhav may be unorthodox in his batting technique, but he is an astute reader of the game. He has regularly pitched in with useful contributions during his ODI career at number five or six and his batting in the last ODI against Australia showed how he has improved his technique against pace bowling as well. Moreover, he is the only batsman in India’s batting line up who can provide a decent spin-bowling option to the captain. He may not have the variety of the two front-line spinners, but he reads the batsmen well and bowls according to a plan. He is rarely expensive and often chips in with crucial wickets, and should be a shoo-in in India’s playing eleven in every match for his all-round abilities. Similarly, in the absence of Hardik Pandya, it is important that Kohli gives his replacement, Vijay Shankar, enough opportunities in the lead-up matches before the world cup so that even if Pandya makes a comeback, he would still have a back-up option. A pace-bowling all-rounder is a rare commodity, especially for a team like India and it is certainly not too late to groom Vijay Shankar. Kohli has got his selection right by including both the all-rounders and wrist-spinners in the side in the first ODI. Instead of chopping and changing, he should persist with these four key players in the remainder of the series.